Terry Pratchett you may carry in proudly. No smuggling necessary. Yes, it has been a long time so I have no delusions of eptitude. I also have a sister. My ability to not write German is not related to her existence. I know less German, I think, than Joe, though I did party with a German once in Denver. Fun guy. Lousy pool player. So, tell us more about the pie. Hi silent. You are lucky. No one attempted to welcome me in my language. Seeing as how Kar98 has fudged the curve for you. Pie, is gonna be mandatory. Strudel, will get you extra points. well the problem is that the english to hindi trnslation page doesn't work very well. 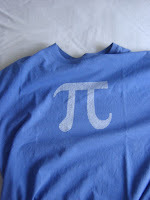 Hehe, this is funny... You asking for pie... wanna know what I'm wearing right now? then again, anything chocolate will do nicely! Hey! Welcome aboard! What part of Germany are you from? I was there in 2000, & drove from near Nuremberg to Wacken (North of Hamburg) & back for a music fest. Great country, great people, great roads! We didn't invade and opress India just for you lot to expect us to learn Hindi and Urdu. Geez. My hindi is worse than my urdu, so don't ask. I beg your pardon? And I mean who knows Hindi?